LINE, Japan’s most popular messaging app with over 220 million active users, has announced a partnership with mobile advertising and app monetization platform Tapjoy to add rewarded advertising to the app. Through the agreement, U.S.-based Tapjoy will broadcast incentive-driven advertising in over 200 countries that LINE is available in. The premise for rewarded advertising is simple: users choose to watch ads in order to get something in return. 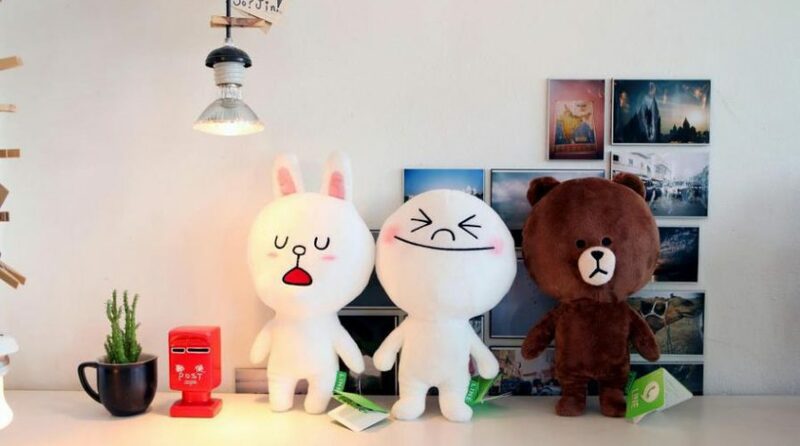 In LINE’s case, users can get LINE Points which can be used to purchase premium in-app stickers, themes, and other types of content on the app. In-app purchases is a huge source of revenue – in 2015, LINE racked up about US$1 billion in revenue, most of it coming from paid stickers, in-app game purchases, and ads. According to Statista, mobile app store revenues are projected to reach US$188.9 billion through app stores and in-app advertising by 2020. Steve Wadsworth, president and CEO of Tapjoy, said: “LINE has become one of the most popular apps in the world by helping people get closer to one another and by delivering a top-notch communication experience. The move by LINE capitalizes on its success in its home market. According to the Business Insider, LINE has four to five times the number of monthly active users as Facebook in Japan, and enjoys popularity in Taiwan, Thailand, and Indonesia as well. But with Facebook pricing ads at a higher price, LINE is in a much better position in terms of revenue. Despite analysts saying the app would struggle due to its stagnant growth rate, LINE seems to have found a way out of the swamp.